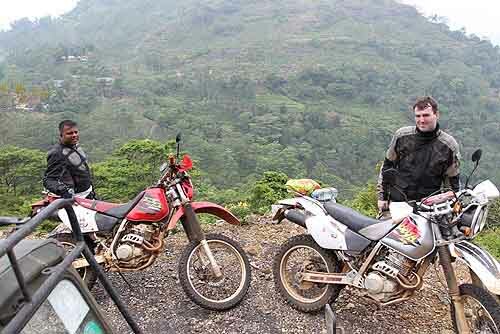 Sri Lanka Tours, Motorcycle Tours, Motorbike Tours, Motorcycle Rental, Motorbike Rental, Tuk Tuk Tours, Tuk Tuk and Car Rental. 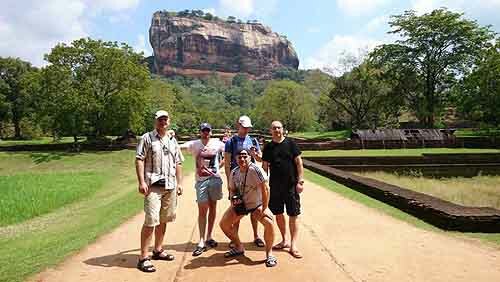 Adventure tours in Sri Lanka offers you to escape from your routinework and to explore virgin lands through Hiking, Trekking, Camping, Wildlife safaris, Village life, Cycling, Rock climbing and many bestactivities. Our beach resorts too offer adventure filled activities for you toparticipate. You can take part in White Water Rafting, Canoeing,Kayaking, Banana boat ride, Tube Ride, sailing, Deep sea fishing, Whale& Dolphins watching, Surfing and Snorkeling. 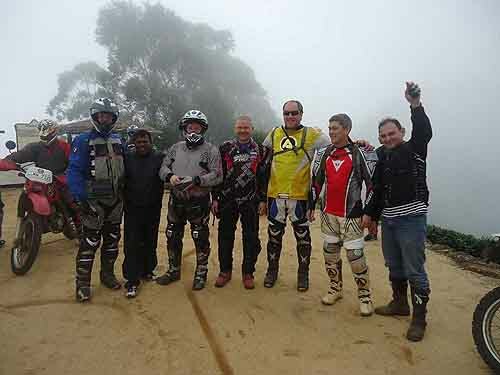 Adventure tours in Sri Lanka can be arranged by us depending onyour interests and budget. We provide all the information that you mayneed and decide the places that you would like to visit within yourvaluable holidays. Hot air Ballooning Trip that covers the cultural triangle used tostart from Sigiriya area. A typical trip used to start early morning andlasts for about an hour – depending on the prevailing weatherconditions in that region. The exact route of a Hot Air Ballooningflight cannot be predicted as the wind direction must be followed. White Water Rafting can be coupled with adventurous confidence jumpsthrough flowing water. You can experience White Water Rafting in thepicturesque region of the Kelani River in Kitulgala area. The route usedto cover 5 major rapids and 4 minor rapids. When you arrive at Colombo airport we will receive you and take youto your hotel. 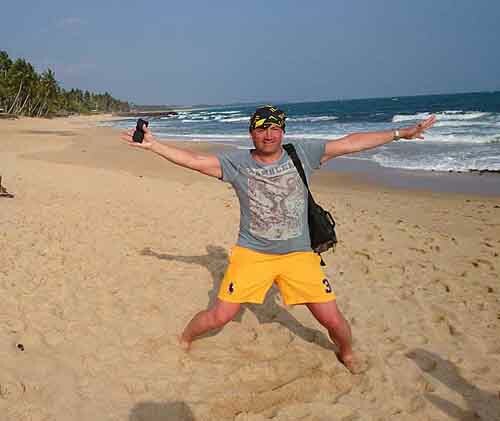 You can start away the tour or can have a day at thefamous Negombo beach and its surroundings. The next day we will startthe adventure tour with our vehicle and private driver. We will takecare of your meals, accommodation and entertainment. The Knuckles Mountain Range covers parts of Kandy and Matale districts and is separated from the Central Hills by the Mahaveli Valley to the South and East and the Matale Valley to the West. What makes the Knuckles Forest / Mountain Range unique is its geographical location. Perpendicular to the mountain range that runs from Laggala to Urugala runs three distinct but lesser ranges while there are other minor ranges running parallel to it. There are a total of 34 clearly identified such ranges with in the 62 square miles that makes up 3000-6500 feet in height. Time to time this gloomy Riverston Peak area is covered with dense mist. Also this area shelters number of endemic plants and animals. The 2.5 km long nature trail of the area let you feel the freshness of nature. Adams Peak is called as Sri Pada and it is named as an important pilgrimage site, especially for Hindus and Buddhists. Pilgrims used to climb up the mountain, following a variety of routes up thousands of steps. The journey takes several hours to climb up. The peak pilgrimage season is in April, and people like to be on top of the mountain at sunrise, to view the distinctive triangular shadow on the surrounding plain from the shape of the mountain. You can observe the shade to disappear downward as the sun rises. Hanthana Mountain Range is located near to the Kandy city. The Hanthana Conservation Forest is another name for the mountain range where you can observe the Sri Lankan bio diversity. There are 7 mountains in this mountain range and the tallest one is around 3800 ft. and it is known as Uura Kanda. This mountain range is very popular among the local mountain hikers as well as the foreign visitors. The Little Worlds End is a place that has the highest gap in Sri Lanka and can be reachedattraction by passing the Horton Plains. From Haputale, it takes about 90 minutes by vehicle to reach the entrance. This place attracts lot of tourist, for its cool climate, beautiful plains along with flora and fauna how it changes and plenty of monkeys. Minneriya National Park is well known for elephant heard, where you can observe large gatherings of wild elephants in Sri Lanka. This contains large area with dry-mixed evergreen forest and scrub areas . Here you can watch other uncommon dry zone faunal species such as sambar deer, leopards and sloth bear. Wilpattu National Park is the home for lot of wildlife which includes leopards, elephants, sloth bears and all kind of dear species found in the dry zone. Diversity of habitat types favorable for dense populations of prey species supports a high density of leopards. Because of these Wilpattu is very popular with the foreign tourists. Water resources in this area provide continuous supply of water round the year for the wild animals. Because of this, opportunity to observe wildlife in this park is extended. Wide range of wild animals, including wild elephants and leopards makes the park most preferred among the wildlife enthusiasts. Here you can observe a variety of wild animals within a short period of time. Kumana Villu, in this area park provides better feeding grounds for the migratory water birds. Viewing of the Black-necked stork has been recorded within this park. Except the birdlife, Kumana is also home to almost all the mammal species found in Ruhuna (Yala) National Park including elephant, sloth bear and leopard. Wasgamuwa National Park is home to a rich variety of flora and fauna peculiar to the low country dry zone of Sri Lanka, where the dry-mixed ever green forests are dominant. Rivers and streams are flanked by a narrow belt of tall forest. Researchers have recorded nearly 23 species of mammals including elephants, leopards and bears, 143 birds, 8 amphibians, 17 fresh water fishes, 17 reptiles, 50 butterflies and 150 plants, within the park. Wasgamuwa National Park is one of the wildlife reserves where large herds of wild elephants can be observed. 46, Katuwapitiya Road, Negombo - 11500, Sri Lanka.